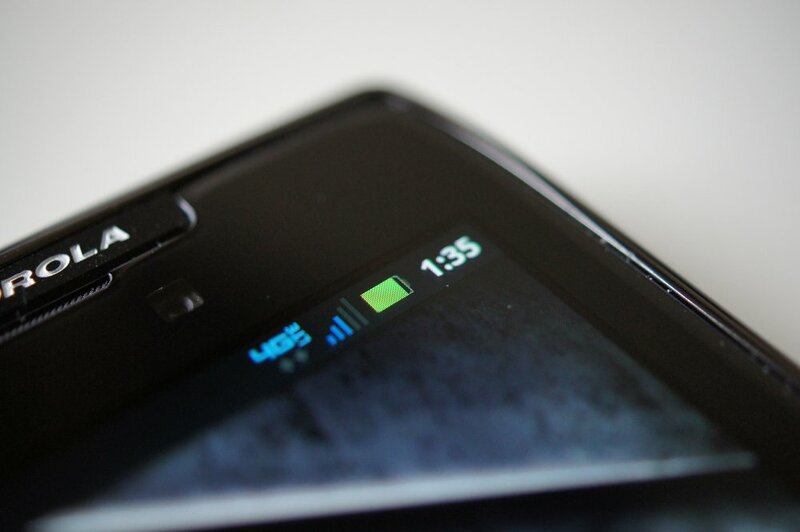 DROID RAZR MAXX Battery Test Day 3 – Why Can’t Every Phone Have This Battery? The first couple of days with the RAZR MAXX were on opposite ends of the battery spectrum. The first was a typical first day with a phone meaning it was nothing to write home about, while day 2 was impressive, to say the least. Day 3 was pretty much like day 2 in that battery was never a concern even though I had to kick things off at around 60% charge. First off, apologies for the lack of screenshots. Day 3 was just so sporadic with no time for a full charge that the shots of battery status would not have made much sense. What I mean by that is, I woke up to a battery that had around 30% charge left, but was then only able to charge it for about an hour before heading out for the day. So with a 60% charge on me, I ran for almost 6 hours before the phone dropped to around 27% with moderate use. I then had some free time and plugged it in to see how long it would take to charge on the Motorola charger that it came with and it still took roughly 3 hours. Without any screenshots to show, I’ll just say a couple of things to wrap this up. This phone, will easily last you all day long even with heavy use. I have yet to turn on WiFi during the last 3 days and have never once had to worry about battery issues. I would however, recommend that you make sure to plug this phone in at night because of the amount of time that it takes to charge. At 3300mAh, this isn’t going to be a quick 1 hour charge job. So while battery life isn’t a concern, making sure you have time to charge is.